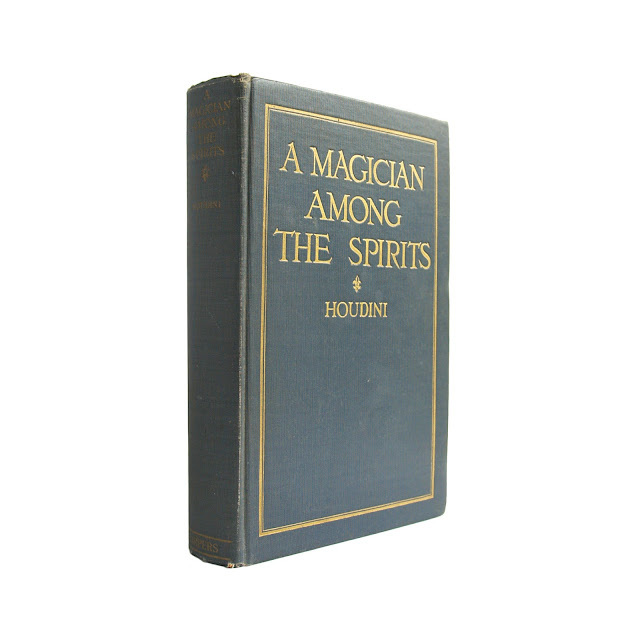 First edition of this desirable Houdini work. 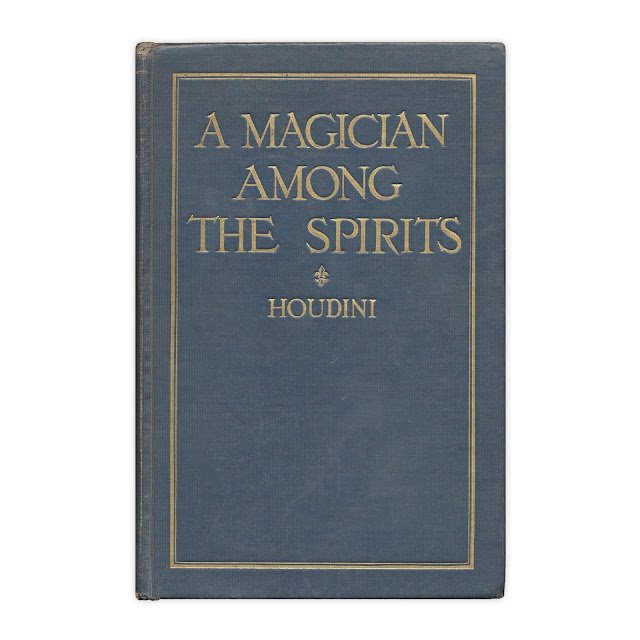 At the time, Houdini had begun debunking psychics and mediums, even offering a cash prize to any medium who could successfully demonstrate supernatural abilities. These exploits are chronicled here. 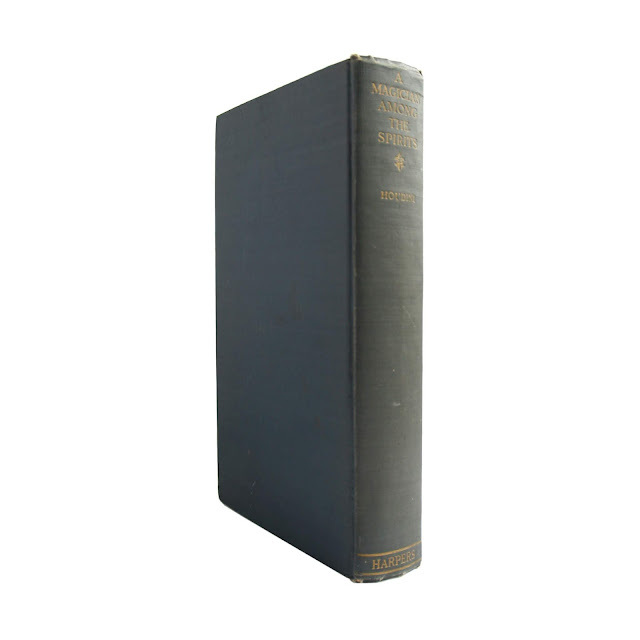 Handsome blue-grey cloth with stamped gilt decoration and lettering on front cover and spine. 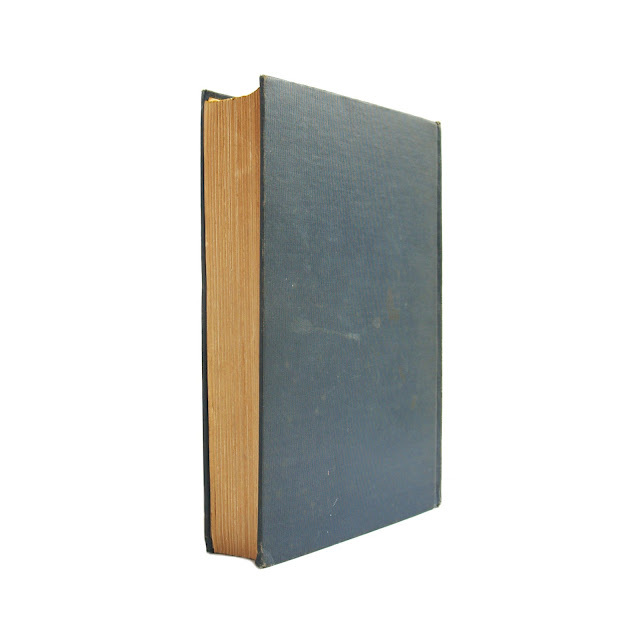 Stated first edition, C-Y on copyright page. 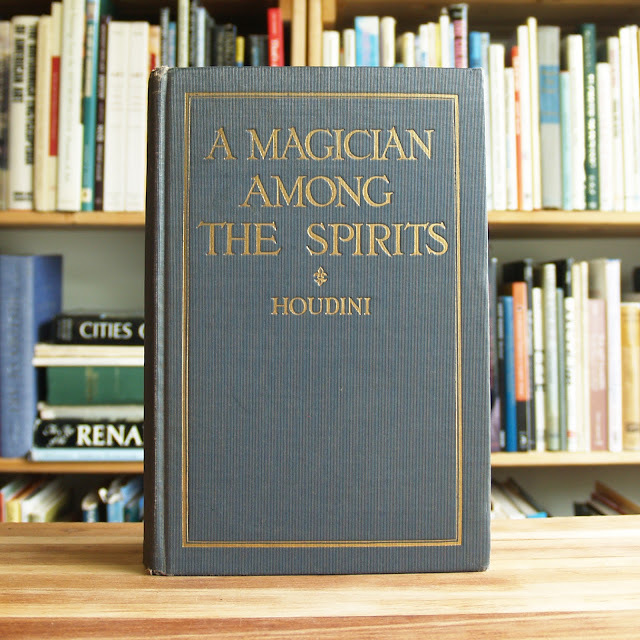 6.5 x 9.5 inches with 294 indexed pages, illustrated throughout. Frontispiece is a photo of Sir Arthur Conan Doyle and Houdini at the Auto Club of London. Slight fading to spine, corners slightly bumped and worn. Some foxing to frontispiece and title page, rest of text is clean if slightly browned. A very mild ex-library copy; card slot and due date slip pasted in at rear, Dewey numbering "2955" in pen on dedication page. Some mild general soil and wear, heaviest evident on rear cover.